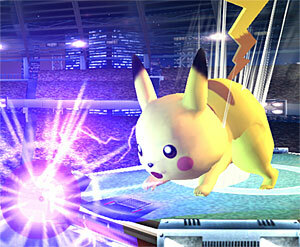 Pikachu is probably the most recognizable Pok�mon, and as such has been a part of the Smash Bros. series since the beginning. And it is easy to see why when you consider that Pikachu has the total package: he's fast, can use electricity and he's cute too! Pikmin was one of those games that was great on the GameCube, and then forgotten. 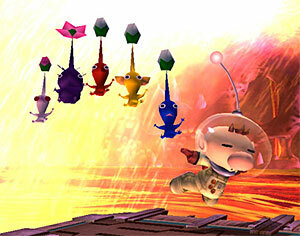 And when you think of strong characters, you don't exactly think of Olimar and his tiny little Pikmin. But this combo makes a surprisingly potent team. With moves like the Pikmin throw and the Pikmin Chain, it's pretty easy to tell who is doing the grunt work in this relationship. But the final smash is rather ominous�it's Olimar's End of Day! Although few have probably head of Pit before Super Smash Bros. Brawl, he is definitely looking like one of the game's most unique fighters. 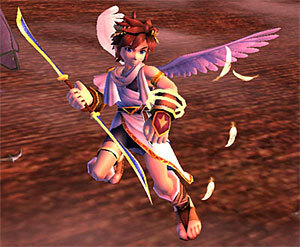 Pit was originally the protagonist of the Kid Icarus game released more than twenty years ago on the NES. He sports a trademark weapon that is a combination bow and blade and can be used as a melee weapon in close-range attacks and as a distance weapon. Pit also has a nice set of wings so he can fly anywhere! He may be rather generic in nature, but the Pok�mon trainer is the best representation of the Pok�mon experience that so many have fallen in love with. It's important to note, however, that the Pok�mon Trainer doesn't actually do any fighting. 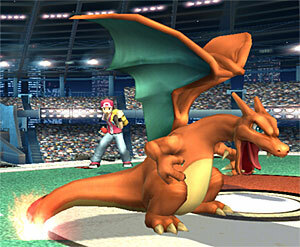 He has three Pok�mon that he can call on to fight, and those are Charizard, Ivysaur, and Squirtle. So, much like the many Pok�mon games, you'll have to use your Pok�mon wisely to succeed.